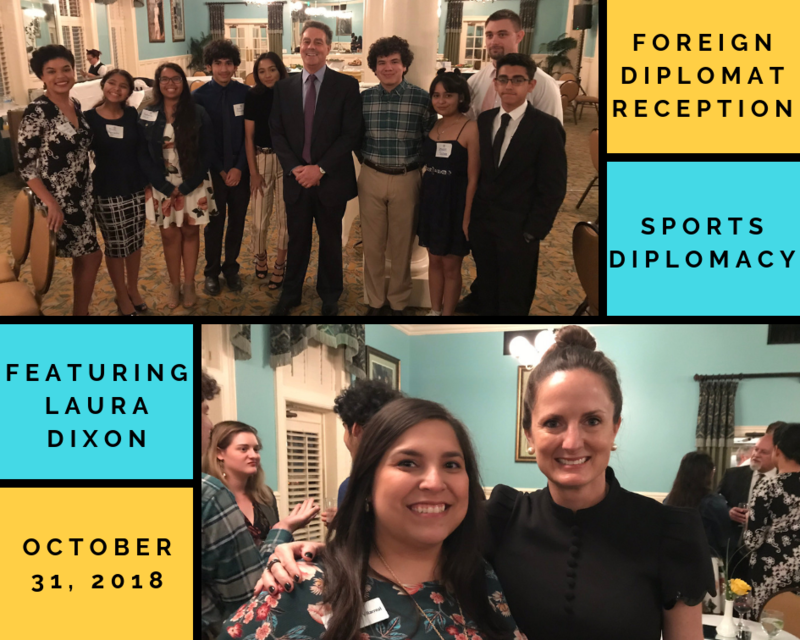 Many joined the World Affairs Council of San Antonio for the annual Foreign Diplomat Reception held in partnership with the City of San Antonio’s Office of International Relations. It was held in conjunction with the San Antonio Economic Development Foundation’s International Business Forum. We were pleased to host international diplomats and welcome them to our city. The purpose of the reception was to exhibit San Antonio to these diplomats and welcome them to visit the city. 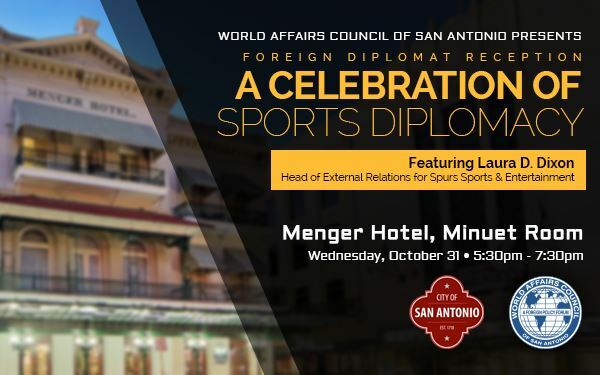 We heard from Laura Dixon, Head of External Relations at Spurs Sports and Entertainment on her work in Sports Diplomacy.